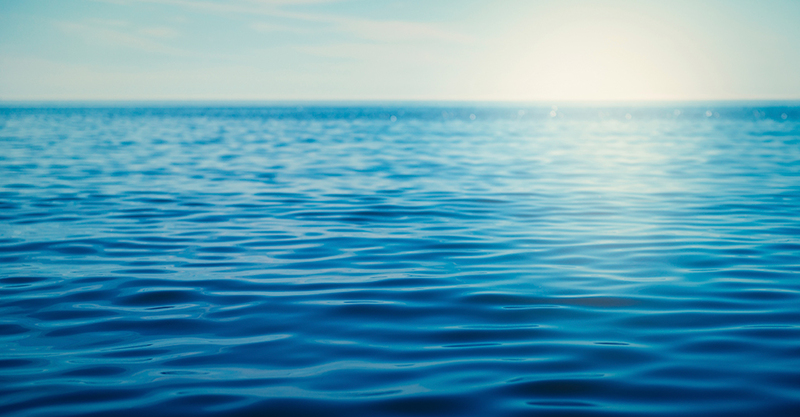 The English explorer James Cook made the first recorded European contact with the eastern coast of Australia in April 1770 in the 'Endeavour'. After Britain lost control of her 13 American colonies in 1783, and the ability to transport convicts there, the 'First Fleet' to transport convicts to Australia - eleven small ships carrying nearly 1,500 people and stores - set sail in May 1787 and arrived - via Tenerife, Rio de Janeiro and the Cape of Good Hope - in January 1788. 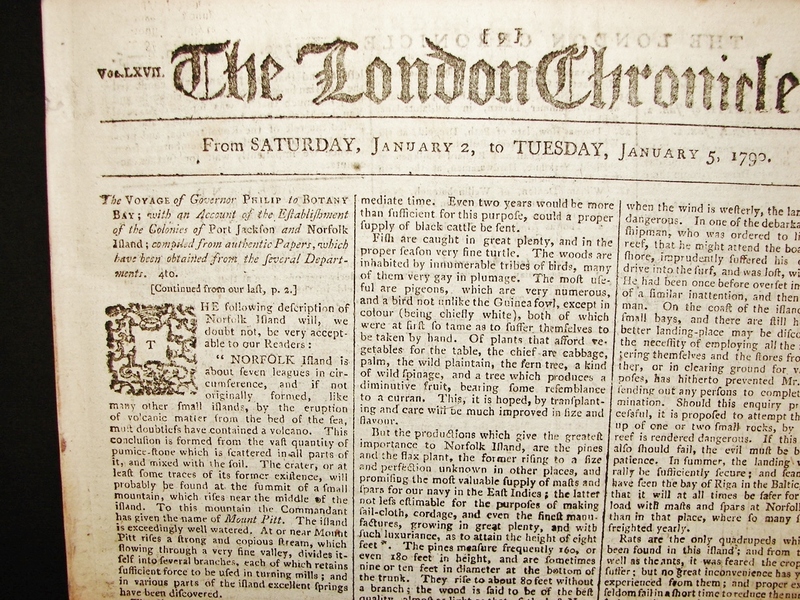 The progress of the First Fleet under Commodore Arthur Phillip, and his reports from Botany Bay and Port Jackson, were closely followed by the London newspapers which published reports and letters home carried back by the returning ships of the fleet and other English ships in contact with the fleet. 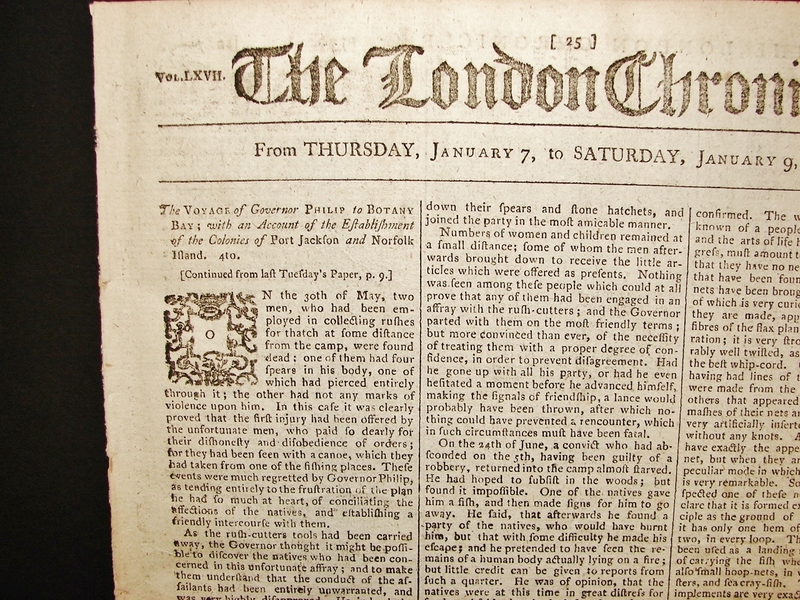 The First Fleet Papers are a collection of such reports, available for sale as a collection or individually. 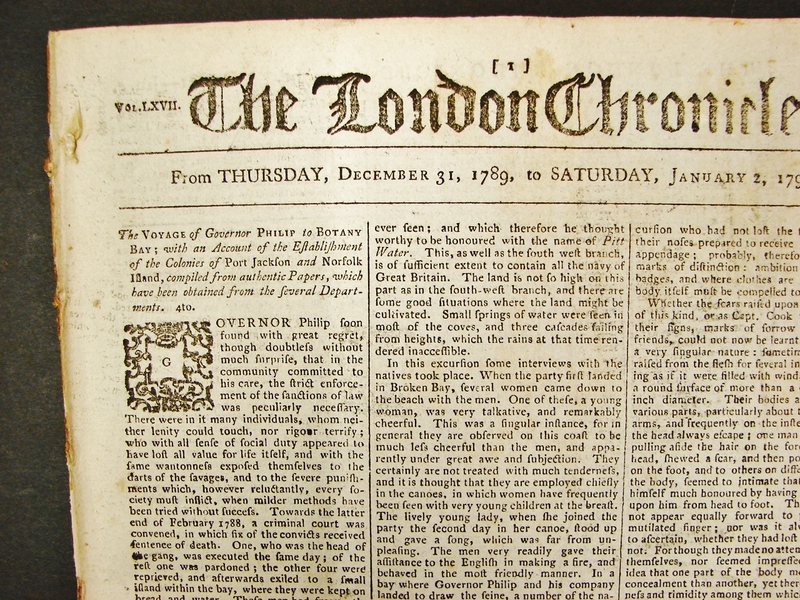 Late 18th century London newspapers were hand-printed on wooden presses in comparatively small numbers on to robust rag paper of the period, which does not degrade like modern newsprint. Every paper in the collection is in good condition (see images) with its government-required red tax stamp, and preserved and protected in an individual, custom-made, crystal-clear, acid-free, Mylar sleeve which will be included in any sale.